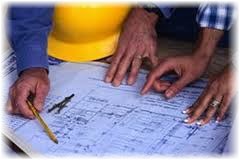 Enerfac LLC specializes in providing Project Management services and consultation for any or all phases of a project. Our Project Managers have extensive expertise to direct, support and coordinate all aspects of your engineering project, whetherlarge or small. internal company support work and third party subcontractors to ensure that budget and schedule constraints are met. Project Managers are your right hand in the field. Our Project Managers follow a proven track record that entails the responsibilities listed below.